The Citi® / AAdvantage® Executive World Elite™ Mastercard® is now undoubtedly the best way to get an Admirals Club membership, since the Citi Prestige Card doesn’t offer access to these lounges anymore. How does Admirals Club access for the primary cardmember work? The primary cardmember on the Citi AAdvantage Executive Card gets a full Admirals Club membership. This comes with the same perks as paying for a membership outright. That means you can always access the lounge with two guests or your immediate family, no matter which airline you’re flying. Admirals Club membership comes with discounts on conference rooms, and also select access to partner airline lounges, including Alaska Lounges. How does Admirals Club access for authorized users work? Authorized users on the Citi AAdvantage Executive Card don’t receive a full Admirals Club membership, though they do receive access to Admirals Clubs whenever flying, and can take two guests or immediate family members. There’s no requirement for authorized users to be flying American to use Admirals Clubs — they can use them even when flying other airlines. The major distinction is that authorized users don’t get access to partner airline lounges, and don’t get special pricing on conference rooms. Can you access Flagship Lounges with the Citi Executive AAdvantage Card? No, you can’t access Flagship Lounges or Arrivals Lounges with the card, regardless of whether you’re a primary cardmember or authorized user. Are you eligible for the bonus on the card if you’re already an authorized user? Yes. You can apply for the card and receive the welcome bonus even if you’re already an authorized user on someone else’s Citi AAdvantage Executive Card. Your eligibility for the bonus on this card is based on whether or not you’ve been the primary cardmember on this card. How complicated is it to add authorized users? Adding authorized users to the Citi AAdvantage Executive Card is super easy, and can be done directly on Citi’s website. You should see an area in the “Your Offers & Benefits” section that invites you to add authorized users. On the next page you’ll be able to manage authorized users, including adding and removing them. You’ll just need their name to add them, and you have the choice of whether or not you want to give them permission to access your online account. Make sure you trust all your authorized users, since any charges they incur will be your responsibility. The other thing to note is that authorized user cards will be mailed to the primary cardmember, and then you’ll have to pass them on. 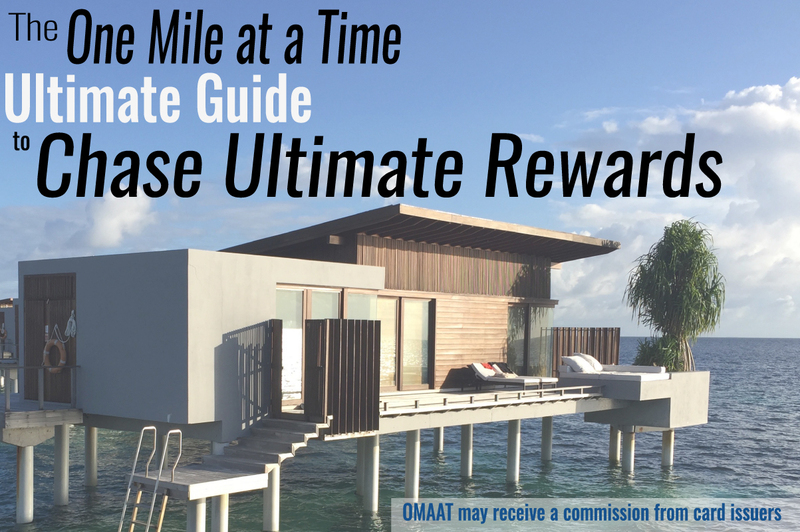 Who is eligible for the welcome bonus on the Citi Executive AAdvantage Card? American Airlines AAdvantage® bonus miles are not available if you have had any Citi® / AAdvantage®card (other than a CitiBusiness® / AAdvantage® Platinum Select® World Mastercard®) opened or closed in the past 24 months. The Citi AAdvantage Executive Card offers an incredible Admirals Club perk, as you receive a full Admirals Club membership for the primary cardmember, plus Admirals Club access for up to 10 additional authorized users. This is a card I plan on picking up shortly, and if you’re also looking for a new way to get Admirals Club access, I’d consider doing the same. @ Daniel B. — While Citi will sometimes deny people for having too many overall inquiries, they don’t have a strict “5/24” rule like Chase does. So generally that’s not going to be the basis on which you’re denied for this card. Are you sure that AU don’t get access to the AK lounge or QA lounge when flying on that airline? I feel like I have gotten into both of them with the card. Trying to decide between PC to this card (with the mileage spend bonus) or purchasing an Admiral’s Club membership outright. Can someone who purchases an AC membership use the Flagship Lounges? What are the rules around FL access? Thanks. @ Leo — No they can’t. This gets you a full Admirals Club membership, so the benefits are identical to buying an Admirals Club membership. Flagship Lounge access is based on your status and the type of ticket you buy. I had a Citi AA Platinum Select for 20 years and downgraded it to a AA bronze about a year ago to save annual fee. Will they count this downgrade as “closing” a card within the past 24 months, or should I get the bonus if I apply for this card you think? Thank you again for your thoughtful analysis. I see this as difficult to justify. The $450 annual fee? Many of the Admiral’s Clubs where I have been have been deplorable, plus they charge extra for food and meals. Only bonus category is AA purchases. AA Miles are the Deutschmarks of the Weimar Republic. Worthless if they cannot be used. Actually, looking at cancelling my current AA cards. Sad, as I have been with them probably as long as you have been around, Ben. @ Rob — I’m not 100% sure, I’m sorry. Anyone have experience with that? @ Rob: The comments from other blogs indicate that a “downgrade” is usually not considered a closure. Thanks for this info! I feel like an idiot that I didn’t already know my husband was entitled to access as an authorized user. I always just “guested” him on my primary card. I think this will mean I can guest 2 of our traveling companions on my primary card and my husband can use his own card for access to the lounge. Do people really value Admiral Club lounge access that much? Why? I stop by if I have access but it’s not something I would go out of my way to access it as the experience has always been a huge meh. The new Flagship lounges may change that, but the regular ACs have all be super underwhelming. Have had this card for over two years. Can I apply for a new card and get the bonus. After, I’d cancel the original card. Do authorized users need to fly AA in order to receive access? Or can they access the club when flying on UA, WN, DL…? Pro-tip: Buy an Alaska Airlines lounge membership if you don’t want the credit card. It’s the same cost, but saves a credit pull if you can’t get the bonus anyway. 1. I fly through DFW 4 times/mo and typically have to have a layover of about 2.5 hours, and there are 4 lounges for me to choose from (plus the Centurion) and it’s a lot better for work than the terminal. 2. I can do confirmed same-day flight changes for $75 as a Platinum. I can do confirmed same-day flight changes for $0 in the lounge. That’s saved me some money, but more importantly means I can make changes that might not justify the $75 price but still provide me some value for scheduling purposes. If I am added as an authorized user and then want to use the admiral’s club, do I need to show the credit card or some other evidence when I enter the club? Or can I just tell them my name and they can look it up? @ Lucky. I could be wrong about this but one of the big advantages, and cost justification, I see with this card is that it also includes $100k Medical Evacuation Insurance Policy. Now I fortunately have not had occasion to try that out but a medical evacuation from somewhere as close as Europe could easily exceed $100,000 in transportation expenses. Of course, as with all insurance policies, there are equirements that the “insured” needs to comply with. As for AC membership, usually overcrowded but still a good place to sit while waiting for your delayed AA flight. Waaay too many family members and additional users now allowed to burn hours and hoard food at the clubs. Who would hoard the hideous AC food? Please American serve something different, I see the same tired, sad food selections every time I visit an Admirals Club. @Lucky can you set spending limits on the Authorized User cards? @lucky I have this card, and as a parent with two small children, the lounge access has been completely worth it. My question is this: I have a BA marketed and operated flight JFK>LHR>DEL in T class coming up- will I be able to access the BA lounge in any of these airports with my Citibank AAdvantage Executive card? My OW status is a lowly red ovaled ruby. Appreciate the advice- a lot of conflicting info out there. I am Exec Plat and currently have an Admirals Club membership. I also have the other Citi AA card. I already have global entry so dont need the credit. I am trying to understand why I would want to pay $450 for this card versus the $400 to renew my club membership. I can already bring 2 guests in with me so not very interested in the authorized users. Is there any other reason to pay $50 more for this card? My wife and I have purchased premium economy seats to Australia. I have a Citi Bank Advantage Executive Card and she is an authorized user. Will we have access to the Flagship Lounge with these purchased tickets and our Citi Bank Advantage Executive Card? I know we have access to the Admiral Lounge.